Aktivhaus, owned by Nexlogic Srl, which has been producing highly energy efficient eco-friendly buildings for over fifteen years, is a brand synonymous with excellence, expertise and professionalism. The construction of active and passive buildings and bioclimatic engineering are some of the specialties of Aktivhaus, whose attributes include dynamism, flexibility, ethics and experience. 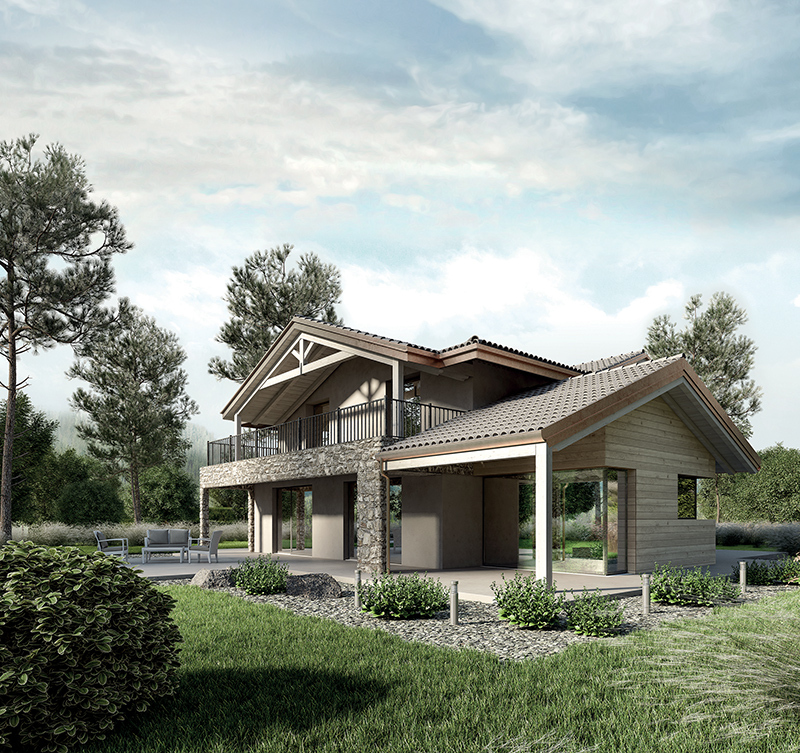 Aktivhaus satisfies the most stringent market requirements through the integration of innovative construction techniques – such as the use of structural timber – with traditional methods. Its sole objective is to create green buildings that last over time and are extremely efficient in terms of energy consumption. It is the perfect solution for those who desire the best while saving energy, time and natural resources. TRUE, IT’S NOT EASY TO CHANGE THE WORLD. BUT WE LIKE CHALLENGES, SO WE’VE CHANGED THE WAY BUILDING IS DONE. Quality materials, attention to detail, innovation, technology, respect for nature and customer orientation are some of Aktivhaus’ core principles. The four pillars from which the company began making buildings on a human scale are described below. WELLNESS IS RELAXATION, NATURE AND BRIGHTNESS; IT MEANS BEING COMFORTABLE IN A PLACE, FEELING AT HOME, AND EXPRESSING YOURSELF AND YOUR UNIQUENESS. AKTIVHAUS BELIEVES THAT WELLNESS IS A RIGHT. THAT’S WHY IT BUILDS THE HOUSES OF ITS CUSTOMERS’ DREAMS, MADE TO MEASURE. ECO-FRIENDLY HOMES WITH THE BEST TECHNOLOGIES. NATURAL, SUSTAINABLE MATERIALS, THE USE OF RENEWABLE ENERGY SOURCES AND OPTIMISATION OF NATURAL RESOURCES: ENVIRONMENTAL PROTECTION IS THE EXPRESSION OF A LIFESTYLE AND AN INVESTMENT IN A BETTER FUTURE. AKTIVHAUS CONSIDERS OPTIMAL ENERGY EFFICIENCY A PRIORITY AND AN OPPORTUNITY: TO SAVE MONEY, IMPROVE THE USE OF RESOURCES AND PROTECT THE ENVIRONMENT. MADE-IN-ITALY EXCELLENCE IS ALSO A COMBINATION OF WELLNESS, REFINED TASTE, ENERGY SAVING AND RESPECT FOR NATURE. INNOVATION AND RESEARCH HELP TO DESIGN THE PRESENT AND INVENT THE FUTURE. THE AKTIVHAUS RESEARCH AND DEVELOPMENT DEPARTMENT IMPLEMENTS OR ADAPTS THE MOST UP-TO-DATE TECHNOLOGIES. THIS COMMITMENT LEADS TO THE CONSTRUCTION OF INCREASINGLY ADVANCED BUILDINGS IN TERMS OF ENERGY EFFICIENCY AND COMFORT. 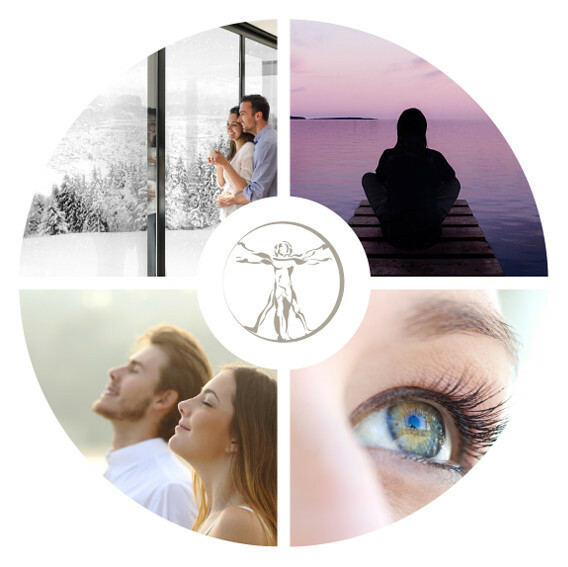 Temperature, clean air, acoustics and brightness: these sensory perceptions help to determine room comfort and provide a precious state of wellness. 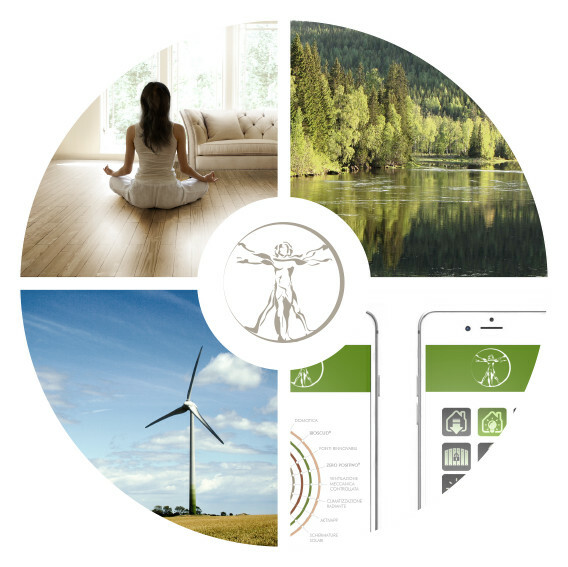 Through these objective parameters, Aktivhaus can ensure a very high level of wellness in its buildings, which are designed and built entirely on the basis of scientific principles. The construction process used for Aktivhaus buildings ensures the attainment of predetermined wellness objectives: this is confirmed by the integration of the residential comfort standards UNI EN ISO 7726, UNI EN ISO 7730 and UNI EN 15251 into its processes. PERFECT THERMAL EQUILIBRIUM, ACHIEVED BY CONSTRUCTION CHOICES, THE ABSENCE OF THERMAL BRIDGES, EXCELLENT INSULATION OF THE BUILDING ENVELOPE AND SIGNIFICANT USE OF NATURAL ENERGY ENSURES OPTIMAL AND UNIFORM PERCEPTION OF WARMTH INSIDE AKTIVHAUS BUILDINGS. ACOUSTIC WELLNESS IS ENSURED THROUGH THE ABSENCE OF ACOUSTIC BRIDGES AND THE EXCELLENT INSULATION OF EVERY PART OF THE BUILDING. THE PLEASURE OF LIVING IN A PEACEFUL ENVIRONMENT ALLOWS ALL ACTIVITIES TO DEVELOP NATURALLY. THE EXCEPTIONAL LEVEL OF IMPERMEABILITY TO AIR INFILTRATION AND HIGHLY EFFICIENT CONTROLLED MECHANICAL VENTILATION ENSURE A HEALTHY ENVIRONMENT AND PROTECTION FROM CONTAMINANTS, TO BREATHE WELLNESS TO THE FULL. ACCURATE LIGHTING STUDIES ENSURE OPTIMUM VISUAL COMFORT THROUGH A PERFECT BALANCE OF NATURAL AND ARTIFICIAL LIGHT, TO HELP MAXIMISE RESULTS IN TERMS OF WELLNESS AND ENERGY SAVINGS. Temperature sensations depend on the activity of the thermoregulatory system, which seeks to achieve a balance between the thermal and mechanical energy produced by biochemical processes inside the human body and exchanges of heat and work between the inside and outside of the body. Aktivhaus adapts the principles that objectively define thermal comfort in the design and construction of its buildings, by designing and regulating technological systems to fully satisfy perceptions of thermal comfort, through the equation of heat balance states in conditions of comfort (comfort equation).